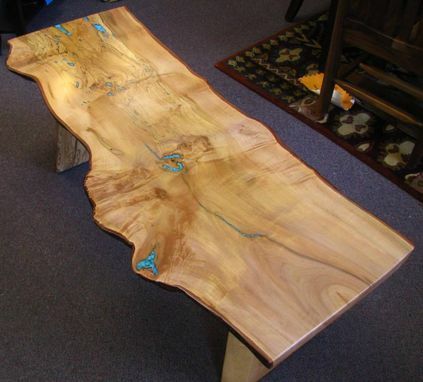 Seriously, could a Coffee Table get any more perfect? 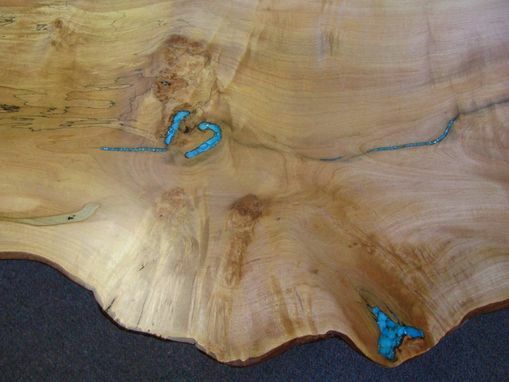 Nice size and shape, Live-edge, Burl Maple character as well as Spalted, Turquoise inlays, Live-edge Base. 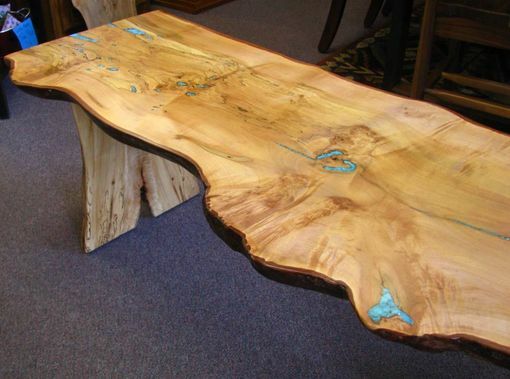 Our Woodgenius has created a piece that's Just Right! Ready to ship to your home. 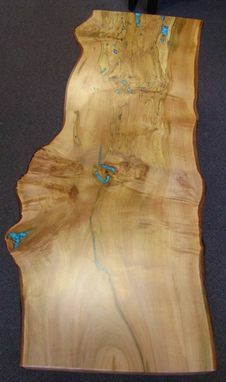 47 1/2" x 19"